A Labrador named Jack Daniel recently needed to have surgery to remove a lump beneath his ear. The moment he’s reunited with his owner again is one of the sweetest things you’ll ever witness. 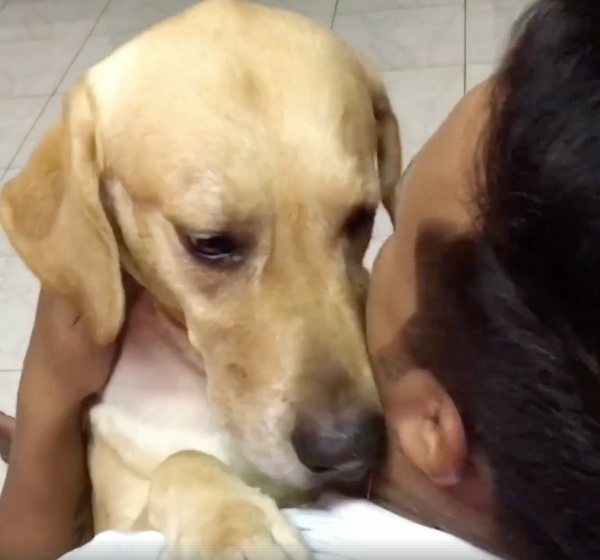 Heartwarming footage of this precious pup and his emotional reunion was uploaded on Facebook recently. Since it was posted, the video quickly went viral. People couldn’t get over how special and sweet this moment was. Jack Daniel was brought to the veterinary hospital to remove a suspicious lump on his upper neck, right below his ear. Thankfully, the surgery was a total success, and Jack Daniel was well-enough to go home. After conquering the surgery like a champ, Jack Daniel couldn’t wait to be out of the scary hospital and back in the loving arms of his owner. The two of them hold each other tightly, making up for every moment they were apart. It was also a moment of relief because now, Jack Daniels had a clean bill of health, although he now has a scar underneath his ear. It was a priceless moment for both of them. Let’s just say that the internet adored this precious moment and the love these two have for one another. “This is absolutely lovely. 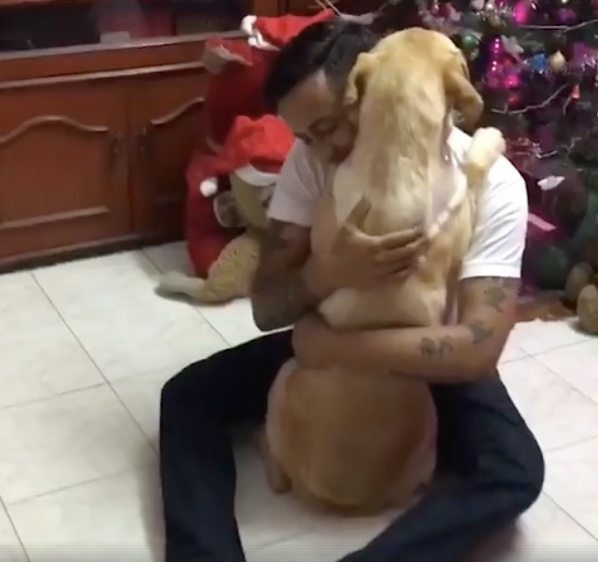 This dog and owner are certainly lucky to have this kind of love for each other,” one Facebook user said about their emotional reunion. “This is, by far, THE sweetest thing I have seen on the internet in ages. I hope the puppers is feeling better very soon,” commented another. The sweet dog’s owner can’t help but be moved by his dog’s overwhelming emotion. 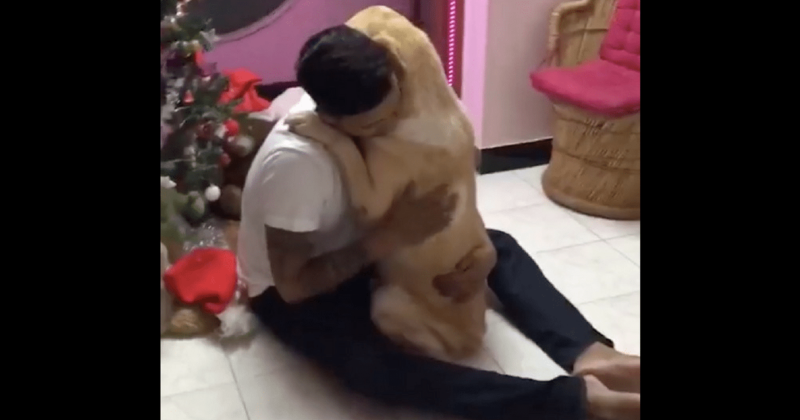 He sheds tears as he kisses his fur baby on his head. 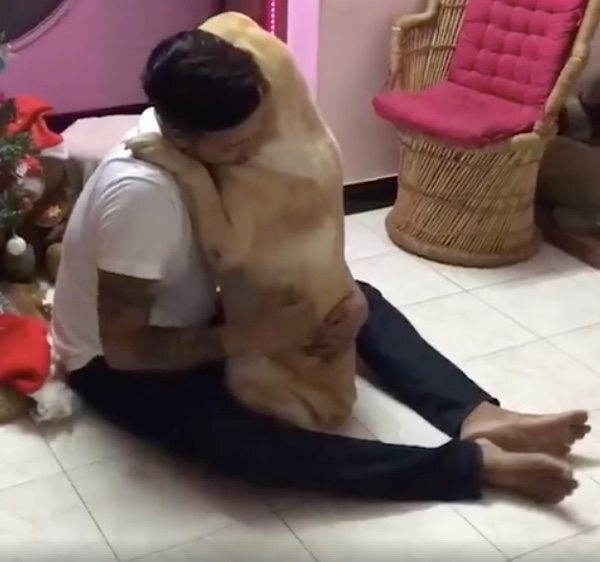 The unforgettable video below is melting people’s hearts across the globe, and it’s definitely something you don’t want to miss.